The least has not been heard about these arms-carrying herdsmen that have increased attacks on Nigerian communities this year. It has been escalated to the United Nations, with a letter on its table waiting for members' attention. 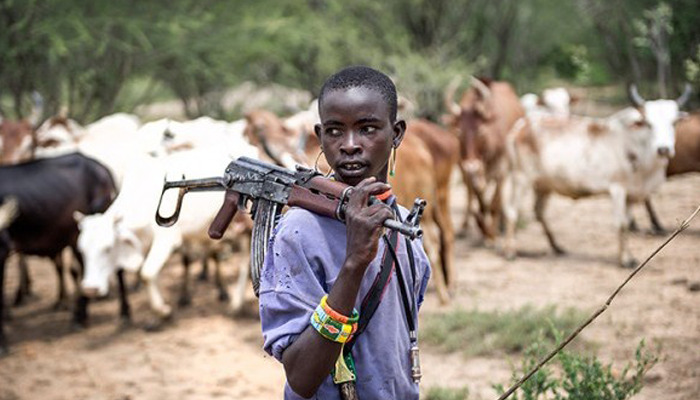 A group the Socio-Economic Rights and Accountability Project (SERAP) has sent an open letter to the UN Security Council and its members urging them to do something about herdsmen attacks in Nigeria. SERAP wants the UN to "urgently hold a special session on Nigeria and to visit the country to press the authorities to end continuing killings and destruction of property by suspected herdsmen across Nigeria, particularly in the North-Central of the country". The organisation also asked the Council to: "treat the atrocities by herdsmen as terrorist acts, in line with the UN Security Council resolution 2349 (2017), which addresses Boko Haram’s presence in the Lake Chad Basin and calls on all states to combat all forms and manifestations of terrorism". It believes declaring attacks by herdsmen as terrorist acts will help make the authorities to seriously address the threats posed by the trend. In the letter dated 16 March 2018 by SERAP deputy director, Timothy Adewale, the organisation expressed, “serious concern that the government of President Muhammadu Buhari is failing to uphold its responsibility to protect the citizens from increasing atrocities by the herdsmen, which if not urgently addressed would pose serious threat to regional peace and security, and by extension, international peace and security. SERAP said: “The attacks by herdsmen have uprooted families, destroyed communities’ socio-economic activities, and taken away their livelihoods and common heritage. These attacks undermine the very purposes and principles of the UN Charter. “If not urgently combatted, such attacks may rise to the level of threat to international peace and security”. According to the letter, the first ‘purpose’ for the UN is to maintain international peace and security, and to that end: to take effective collective measures for the prevention and removal of threats to the peace.